Learn to meditate and naturally grow your confidence, mindful awareness, and compassion. 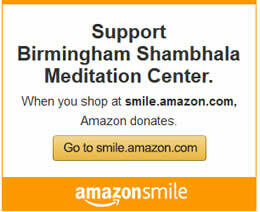 The Birmingham Shambhala Meditation Center offers free public meditation sittings. We also offer a wide variety of classes and retreats in meditation, and Buddhist and Shambhala teachings. Those of all spiritual traditions are invited to explore our offerings in the quest to find a mind of compassion, gentleness and sanity. 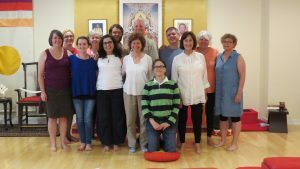 We offer programs for beginners in meditation as well as experienced practitioners. Shambhala is an international community of urban meditation and rural retreat centers founded by the Vidyadhara Chögyam Trungpa Rinpoche, continued by Sakyong Mipham Rinpoche, and now led by senior teachers and an Interim Board. Buddha Day at Avondale Park! NEW! Sync our Calendar to your IPhone or Google calendar.